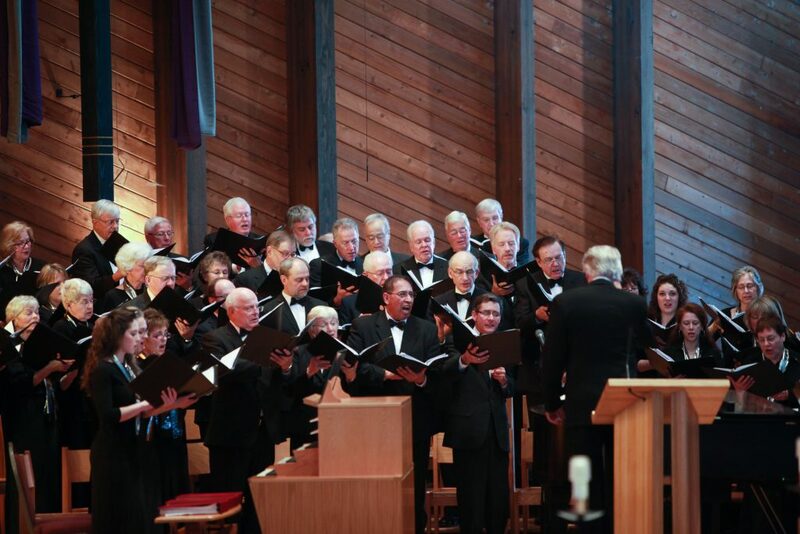 Minnetonka Choral Society, which traces its roots back to 1957 and was incorporated in 1969, is dedicated to enriching the lives of our members and the community through great choral music performance. We love to sing! And we love nothing more than singing to a full audience. Our Music Director Jere Lantz selects our music especially for us. 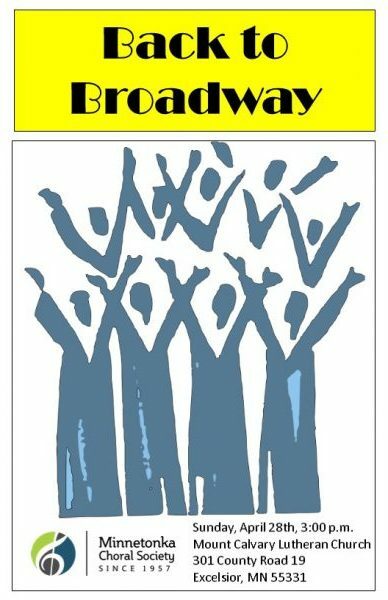 The music ranges from old masters such as Gabrieli, Mozart and Haydn masses and Brahms’ Ein Deutches Requiem to more contemporary compositions such as Vaughan Williams’ Hodie and Copland’s In The Beginning, to works by modern composers or arrangers such as John Rutter, Dominick Argento, Stephen Paulus and Jeffrey Van. 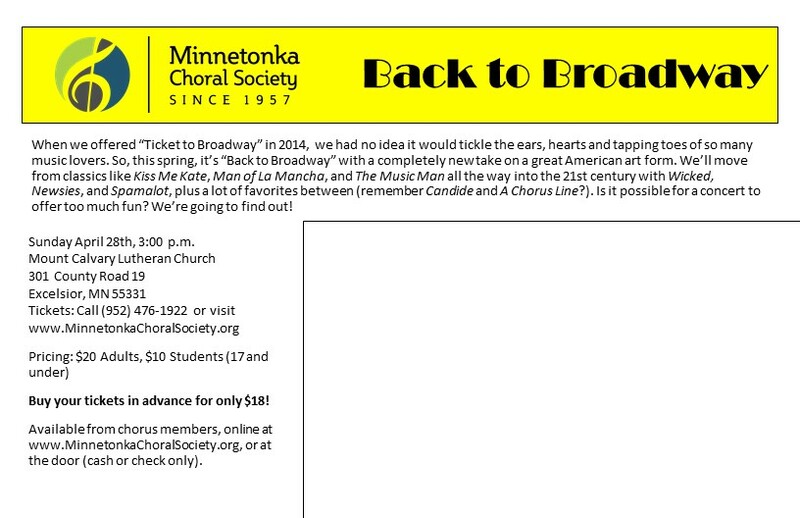 The Minnetonka Choral Society, MCS, is a volunteer concert choir that performs two concerts per year: a spring concert and a holiday concert. Our choir is 70 members strong. 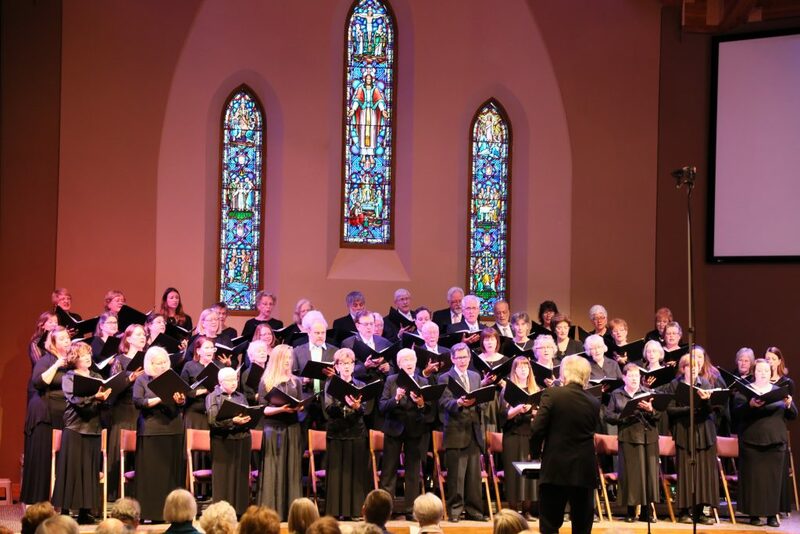 When we sing, it can be joyously loud accompanied by a full orchestra, or deliciously soft with harp or a Capella. If you enjoy live music, and live in the Twin Cities area, we would welcome your presence at one of our Twin Cities live choir concerts. This is a fully handicap accessible building. Use your credit card via our secure button below.